Garmin BaseCamp And No Idea How To Use it? BaseCamp Has Too Much Functions And Options? Learn how to use the Garmin ® software BaseCamp® the easy way – guaranteed. You already use BaseCamp® but some parts have been too complicated for you to handle? You do not know how to save your map to your unit? You still have to juggle a lot of those small micro-SD cards to be able to see and find the correct map? You are still getting lost, even while using your GPS because you are not getting the right information? You have trouble with your routes loaded to the gps? How to simply and easily swap data with your GPS. How to create waypoints and which settings are going to be useful for this action. How to create a track or route. How to use the best basic settings in BaseCamp®. How your GPS can show you two different maps from two different countries without interruption. How to load maps from different products onto your GPS. How to customize a wrongly calculated route and match it to your plans..
How to open and install OpenStreetMaps and save it to your GPS. How to display custom maps in BaseCamp®. What additional information can Basecamp® provide for you? How to unlock and use maps. How to charge tracks from the internet and import them to BaseCamp. The BaseCamp® Handbook is constantly updated. Du wirst über neue Versionen benachrichtigt und kannst das überarbeitete Handbuch kostenlos downloaden*. 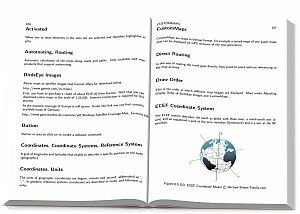 You will be notified about new versions and you can download the revised manual for free. With this introduction to BaseCamp, you will learn how to get faster to your destination. New Chapter Mac OS: BaseCamp Introduction and Settings. New Chapter: Device Transfer Settings. The BaseCamp Manual is grown to 176 pages. Completely new translated and layouted. The BaseCamp Manual is grown to 98 pages. Thanks you for your emails, which surprised me while I was enjoying your help at the same time. Unfortunately, it took me until today to send you a reply. 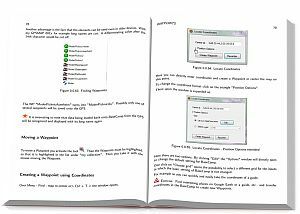 Yes, after I had discovered the software BaseCamp for a more intensive browsing on GPS and installed it on my PC, your manual has certainly made it a lot easier to apply and use the basics of this software. The layout of this manual and documentation was very helpful to me! – A successful design in which I am not missing anything. The Data management and access to the data (tracks, routes, …) are now a lot easier in BaseCamp than I was used to when using MapSource, and thereforeI have created the data management directly in BaseCamp. There is nothing to thank me for. Although nothing in life is obvious! I looked at the BASE CAMP Hand-book (the text), and find it very helpful in the planning and application of GPS data. The text is well written and easy to understand and implement. Of course it makes sense to take the knowledge presented in an “appetizers way”, but is quite feasible, because paper is so patient. 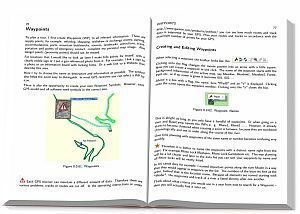 Since you have created a good and useful Book for a reasonable price and made it available to interested parties and GPS freaks! And if there is something new in this direction, please let me know! I just started my involvement with the book. I printed out everything. What I’ve read so far, however, is great and has really helped me out. Tips and tricks about the background of various menu items help tremendously to understand BaseCamp better. A lot fo thing about BaseCamp could use a more user-friendly design. It is a bit stale. But that would be up from Garmin. (For example, the left-and right-moving with the Logitech mouse wheel left / right switches, etc.) We all just become so demanding, right. So thank you again for this great book and if I find something that is worth mentioning, you’ll get an email from me. Information about delivery of the BaseCamp Manual. Click on the image to get to the Download. 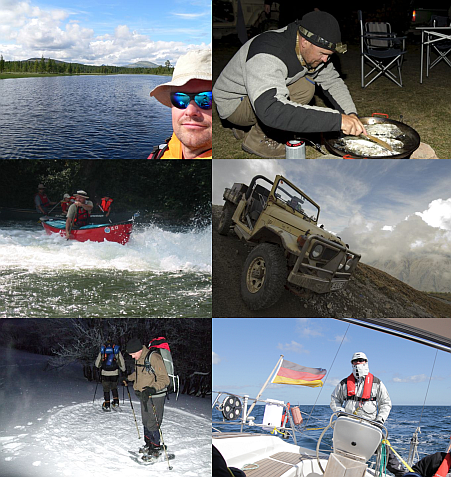 Michael Bloemeke has been active outdoors since his childhood. Growing up on the outskirts of a village in southern Germany, nature was never far away. The desire to travel and to orient himself and navigate ourished with an increasing activity radius. With his four wheel truck he went through southern European back country, over exposed alpine roads from the world wars to the Atlas Mountains in Morocco. Canoe trips on lakes, rivers and salt water and hiking on foot even in the winter with snowshoes, brought more adventures and experiences. Meanwhile, the long-time dream of owning a sailing boat came true, which posed new navigational challenges. Since he was in contact with GPS and users since 1995, he offers seminars to learn planning trips an navigate with GPS. So when Garmin brought up BaseCamp, he wrote a book to introduce his clients in the use of BaseCamp. First the book was written in german, later it was translated into englisch. Your purchase is 100% Risk Free. If you’re not happy with BaseCamp Manual for any reason, simply let me know (via email) and I’ll refund your money. The image of the book is symbolic. The delivery is instantly provided via Download. 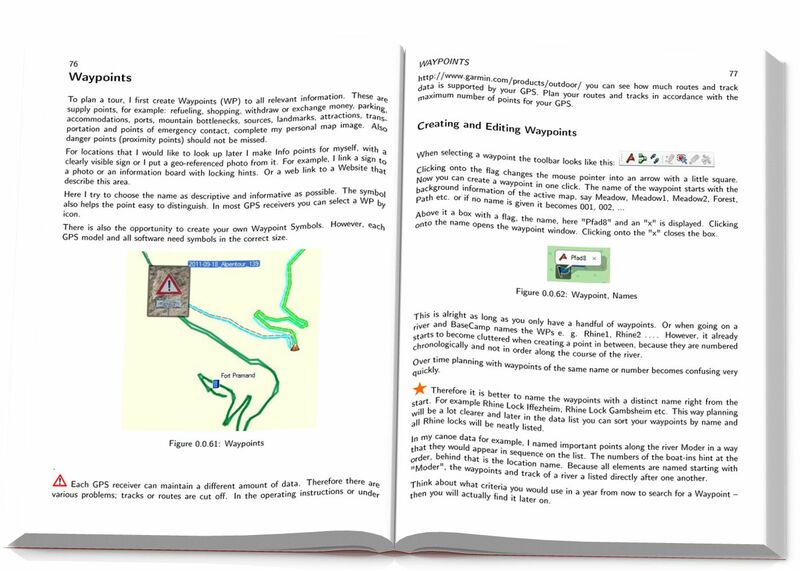 The eBook is readable on PC, Mac or Tablet computer. Otherwise you may print it to read on paper. You may print it as a brochure in DIN A5 (normal size) or bigger, if you like to read in big letters. Links are active, you can navigate inside the eBook and follow links to websites. 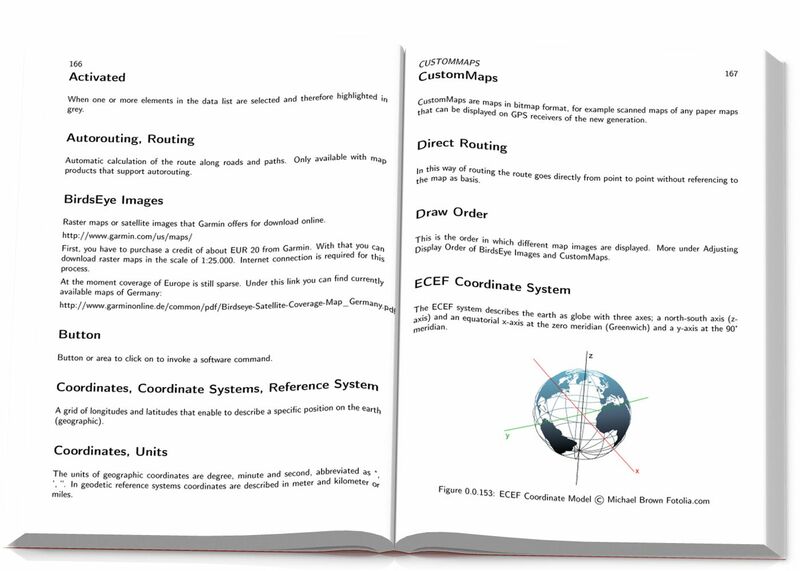 You may search for terms in the pdf reader with the included search. Updates are free. Only when larger Changes are made in the book, i reserve an update charge. Further I will send you some useful tricks and tips to improve GPS navigation via e-Mail. If you have a question, please write a comment below. Payment processing and delivery via ClickBank.com. You can pay conveniently by credit card, bank transfer, Debit or Paypal. Even with ClickBank.com applies: your data and the download are safe! 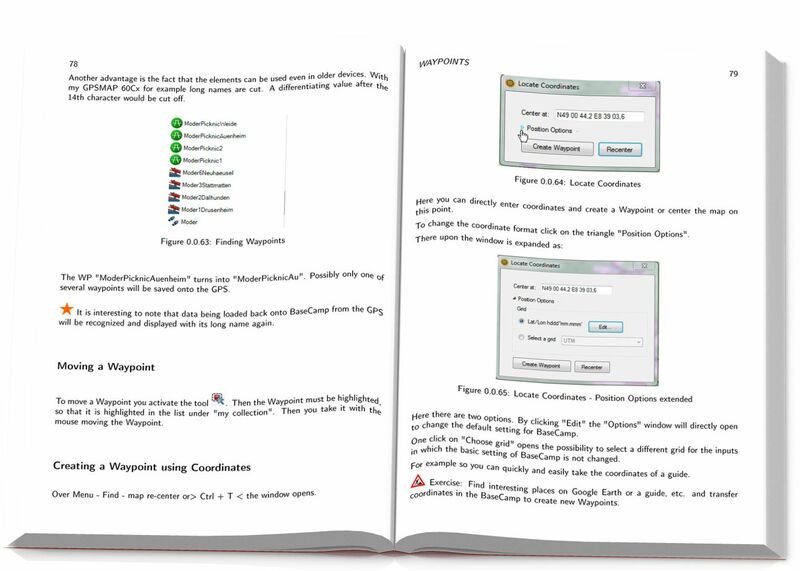 You can save the eBook on the computer and print the file. Your manual is super! I have worked through in 3 days, helped me a lot. Previously I’ve only worked with MapSource, because I’m not coped with Base Camp, now I no longer need MapSource. Thank you for the effort you’ve done with it and you expect to have doing! Hello Michael, congratulations on the wonderful book. I am always amazed at how many emails I have received since the purchase and I wonder how that is to cope with time at all. I answer a bit late, because my PC had a HD crash. Now the system is running again and also the Garmin topo maps could be reactivated. So far, so good. 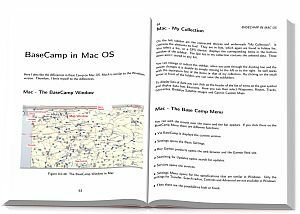 Well, I have this Base Camp Handbook bought, thinking: for a Pdf file a juicy price. Now that I have read something into it, I see that it’s more than a few drought-written pages. Many still unknown for me, applications, tips and notes are shown, which I find very useful. Unfortunately I do not have the time to concern myself intensively. So I slowly work my way through the manual and try to apply the demonstrated capabilities in practice. As far as I entered, I would like to say: It is a good buy, the Base Camp Handbook brings me something and is worth its price. Otherwise I thank you for the nice contact, wish you and your families a “Good Time”, “Happy Holidays” and “A Happy New Year”. Spent lots of money for GPS device but no idea to work with? Find the answer in the book! This site and the products and services offered on this site are not associated, affiliated, endorsed, or sponsored by Garmin, nor have they been reviewed tested or certified by Garmin.